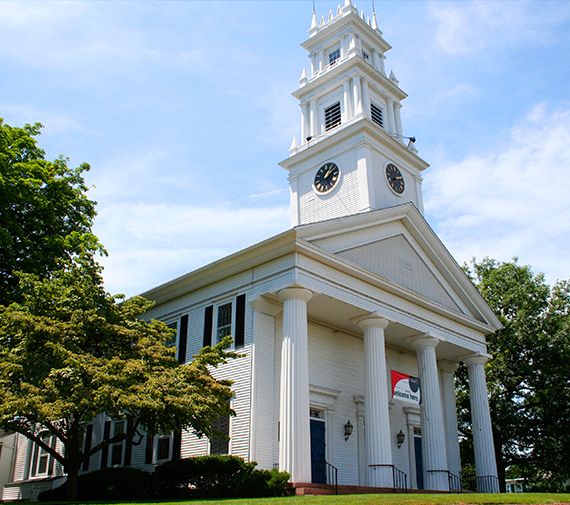 Bristol, Connecticut is just two hours from Boston and New York and an hour from the shoreline,. It’s a hidden New England treasure abundant with attractions, special events, and history to enjoy. From the natural beauty of picturesque hills and fall foliage, to the high tech satellite dishes of ESPN, Bristol’s City sized with a small town vibe, offering wonderful memories no matter your pace! So whether you’re vacationing, passing through, or staying a little longer, Bristol will fill the perfect piece in your heart. Heart. You either have it… or you don’t. That indefinable characteristic that is so often the difference between quitting and carrying on. Failing and succeeding. Being good and being great. It is the determination that allows an entrepreneur to launch a business despite obstacles. The compassion that propels volunteers to give and then give some more. The vision that unites the citizens of a city around a brighter tomorrow. Bottom line, incredible accomplishments often come down to one key characteristic: Heart. Bristol’s heart is the engine that pumps passion into everything we do. We may not always be the biggest or the strongest, but we’re always the hardest working, the most resilient, the most resourceful and generous. We just have the heart to get things done. Maybe that’s why businesses are so attracted to Bristol. Because in addition to being affordable and accessible, with an abundant and highly skilled workforce, Bristol has an incomparable work ethic. Known as a manufacturing hub, some of the nation’s most successful companies from world-famous ESPN to the Barnes Group got their starts right here at home. And smaller companies and businesses thrive in an environment where ideas are appreciated and personal attention and resources are available in equal measure. In fact, the symbol of business success in Bristol can be traced in the triumph of the small businesses who pour their passion into developing a business that will be the heartbeat for arts, culture, events and music in the Bristol community. Ask the people of Bristol what they value most about their hometown and many will point to the heartfelt generosity of neighbors. You can see this compassion in our willingness to lend a helping hand no matter what. We take care of each other, because that’s the way it should be. And the results are nothing short of miraculous. Like three people devoted to making the Bristol Boys & Girls Club one of the finest in the nation, leading a campaign to raise $10 million dollars. Thanks to a new facility and innovative programming kids headed for the streets have ended up in college… even graduate school. And many of them are coming back home after graduation to continue the good work. Because that’s the thing about the open hearts in Bristol, people keep on paying that generosity forward. In fact, if you have the heart to make a difference in Bristol, the path and the opportunity are clear. The owner of Nuchie’s Italian restaurant in Forestville discovered this when he partnered with the Forestville Association to beautify the area around his business. With energy, enthusiasm, a broom and some flowers he turned his corner of the community into a place he can be proud of. And that kind of passion is being invested in other neighborhoods throughout the city from the West End to Federal Hill. Of course, Bristol’s passion applies to more than just work. Not surprisingly, we play with a lot of heart too. Residents regularly attend youth sporting events whether they have a child in the game or not. Warm summer afternoons at Lake Compounce offer up defining childhood memories for people from all over the region. While museums and memorials including the flamboyant New England Carousel Museum, the Imagine Nation Children’s Museum and Veterans Military Memorial Boulevard let you celebrate everything from whimsy to war heroes. Whether you’ve been in Bristol for a day or a lifetime, here’s the thing about living in a place with so much heart, such great passion. You never want to leave. That loyalty resonates through the story of the Barnes Group, a family-owned business that got its start in Bristol and has grown to a worldwide, manufacturing company. When shareholders pressured the Barnes’ family to move its corporate headquarters, the family refused, opting to stay in the community they love and support. Turns out true heart has deep roots. They say that the spirit of a champion is never completely happy with the easy win. Here in Bristol we happen to believe that’s true. But we’re not looking for easy, we’re looking for remarkable. And something remarkable is happening here. It is fueled by pride and driven by promise. It is youthful and energetic and optimistic. It is forward thinking and united and hopeful. It is men and women. Fathers and sons. Mothers and daughters. Friends and neighbors. Working together to get things done.